. استمتع بالخدمات الراقية والضيافة التي لا مثيل لها بهذا الفندق في طريق المحيط العظيم - خليج أبولو. هذه بعض الخدمات الموجودة في هذا الفندق: واي فاي مجاني في جميع الغرف, تخزين الأمتعة, واي فاي في المناطق العامة, صف السيارات, خدمة الغرف. بالإضافة لهذا,تتضمن كل غرف الضيوف مجموعة واسعة من وسائل الراحة . بعض الغرف توفر حتى تلفزيون بشاشة مسطحة, اتصال لاسلكي بشبكة الإنترنت (مجاني), غرف لغير المدخنين, تدفئة, مكتب لإرضاء أكثر الضيوف تطلباً. يقدم الفندق خدمات رائعة كمثل حوض استحمام ساخن, مسار جولف - ضمن 3 كم, حمام سباحة خارجي, سبا, مسبح (للأطفال) لمساعدتك على الاسترخاء بعد نهار طويل من النشاط والتجوال في المدينة. اكتشف مزيجاً ساحراً من الخدمة الاحترافية والخيارات الواسعة من وسائل الراحة والمتعة في Motel Marengo. يطلب الفندق أرقام صحيحة للمسافرين في نموذج الحجز لتجنب المشكلات أثناء تسجيل الوصول. للفندق الحق في رفض الحجز إذا تم انتهاك إرشادات الإشغال. no frills hotel, good for a quick layover but nothing more and would not recommend for longer stay. Ample parking right in front of your unit. Slightly further than the main town and will have to drive through a dark bridge. Motel Marengo was a nice place to stay. It is close to the beach and only 5 minutes drive away from the main Apollo Bay shops and beach, so there are less people and it's a lot quieter. The room itself was clean but felt a little small. This would be the only negative. The pool was very nice and there is a spa too. A BBQ area is also available if required. The staff seemed friendly, however we didn't talk much since it's not our first visit to the area. There are only about 10 units in the motel, and although they are right next to each other there was limited noise, which is always good. I'd recommend Motel Marengo and would stay there again. The motel was a great place for a short stay . Facilities were good Foxtel kept me company had a good heater and electric blanket. Has WiFi but I found it dropped out often. Love the distance to the Main Street and the beach I would stay here again and will recommend to others . The gentleman at the front reception was very helpful always makes a long trip nicer when your greeted nicely. The rm was not very big and we didn't really had space to open up our lugguages. Despite that being said, we felt that the rm was cosy and nicely furnished with modern furnitures. Our rm had a balcony and We had a view of a small pond n garden from the balcony. Didn't gd chance to use it thou cos of the cold and wet weather. We enjoyed our stay nonetheless and will consider the resort of we are visiting Philip island again. 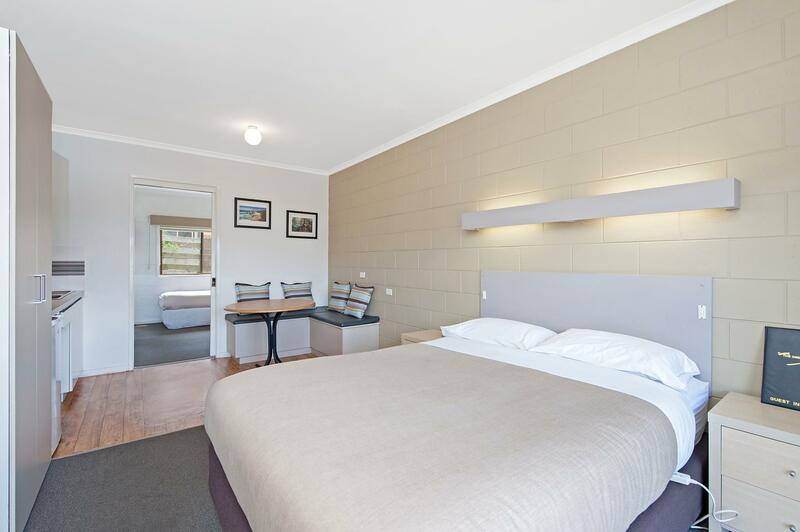 Motel Marengo is a great stopover for travelers along the Great Ocean Road. We get to have free board games to pass our time in this quiet town at night, which many motels/hotels did not offer. Great views watching the birds gather at the fences, close proximity to town eateries and the beach. Overall, a wonderful stay with comfortable beds in which warmers were provided and working well. Cable TV is installed so another value-added service that others lack. Would have stayed a few more nights if not for traveling further down the GOR. The owner of the motel is extremely friendly and helpful. The motel has a small swimming pool and a hot spa but it's too cold to use them during winter. One thing impressed me is the electrical blanket on every bed, that really keeps us warm and sleep very comfortably. Good location a quick drive from Apollo Bay. Clean accommodation though quite pricey for what you get. Did the job for a night! When I arrived I found several bugs on the old carpet floor, some still alive. The guy at the reception vacuumed the floor again, but didn't seem to care much. Next morning there were new bugs on the floor. Bathroom was rather run down and kitchen floor torn open. Wouldn't stay again. Hi Iris, Thank you for your comment. As we are located in a rural area close to the Otway national park, occasionally during warm weather, a few harmless insects might sneak into our rooms during the cleaning process (while the door is open). When you reported this to us, I immediately arranged a thorough vacuum of your entire room. It is possible that you may have opened the door afterwards, allowing some new insects to enter (they are attracted to light). We have never received any negative feedback about the bathroom and kitchen. I hope you have enjoyed your Great Ocean Road drive. 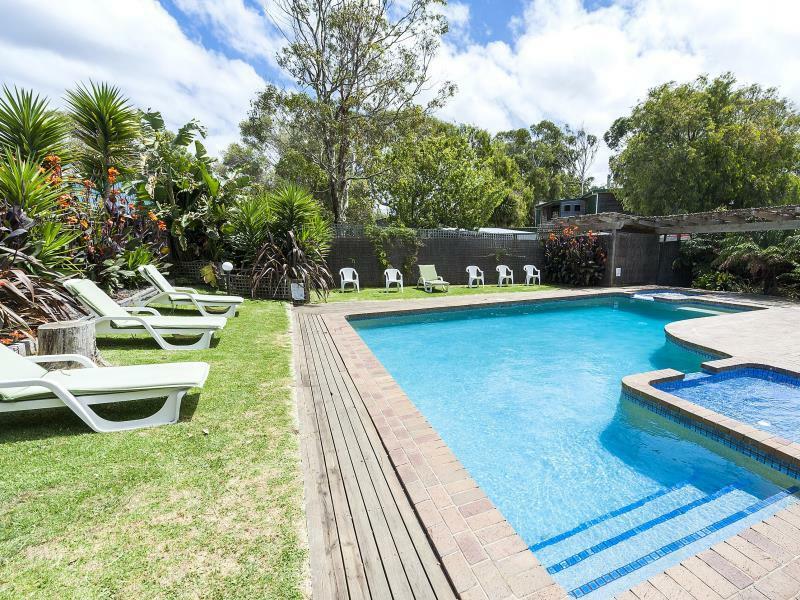 The duty manager Allan is really friendly and personable, the swimming pool and spa are added bonus. Comfortable stay but there were few dead flies and insects in the room which wasn't ideal. We ordered breakfast whilst we didn't expect it to be excellent it could've been better. But overall a pleasant stay and value for the money you pay which is less than most others in town. 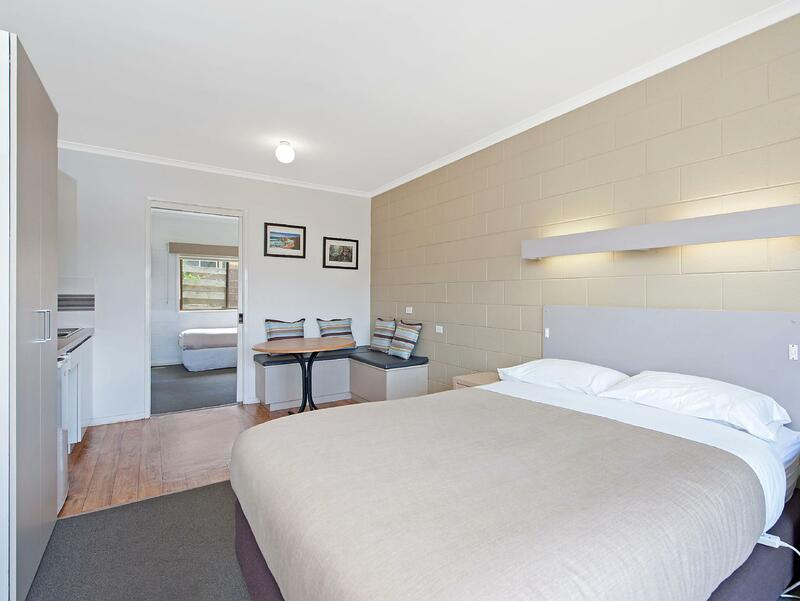 Motel Marengo is located at Apollo Bay and it's quite near to all the eateries and the beach. For the price we pay, it's value for money. 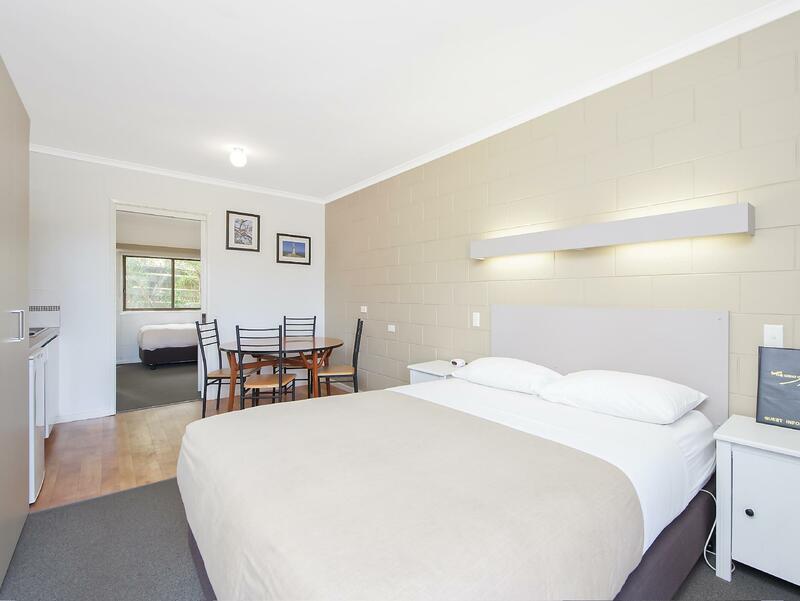 Would recommend this place to anyone who's looking to stay at Apollo Bay. We book a 3 room. The room was clean and kitchen is well equip. Located about 10 mins drive from town. However, the wifi was not really function well and the soundproof of the room need to improve. Overall is recommended to everyone. We book a 3 room. The room was clean and kitchen is well equip. Located about 10 mins drive from town. However, the wifi was not within our area and the soundproof of the room need to improve. Overall is recommended to everyone. We stayed here for 2 nights and found it to be very comfortable. There was a heated blanket on the bed which took the chill off at night. It is a little bit out of Apollo Bay which we didn't realize. Great owner! Always up for a chat, great value for money, only about 5 minutes from Apollo Bay! Very close to the water, great facilities, 'beach meets bush' vibe (lots of native birds coming to the site). Definitely recommend it to anyone! This is our 1st trip with our 16mo to GOR. I'm so glad that I have chosen this place as our stop during the trip. The staff greeted us was friendly and helpful, and the room is clean and decently decorated. 3 of us had a good rest on that night, and I regretted that we can only spent a night there, I wish I can stay on longer.